I’m finishing a busy week, as I attended the Oklahoma State Evangelism Conference (SEC), Jan. 29-30. I’ll share briefly in this week’s edition of Doyle’s Half Dozen. I hope you are well. I know many who have been sick or recovering from sickness or dealing with grieving, troubling situations. As you read this, I pray the God of all healing and comfort will offer you His touch and provide you with an abundance of grace, wisdom, joy and peace. 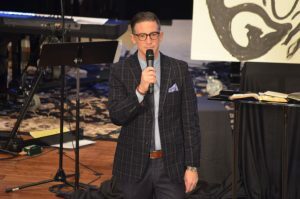 Ed Newton is a favorite Christian speaker among Oklahoma Baptists. 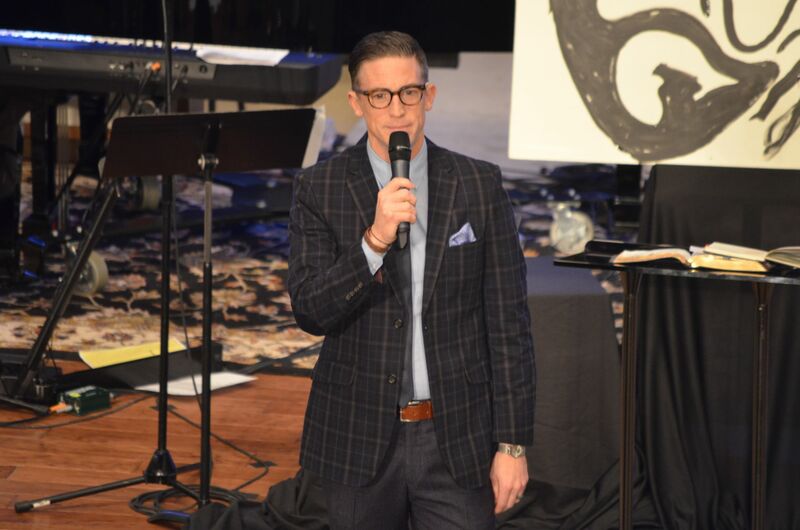 He’s currently the pastor of Community Bible Church in San Antonio, Texas, but he’s been a regular camp speaker during the summer weeks at Falls Creek before his time in San Antone. Andy Harrison, Falls Creek program director, brought to my attention by that Ed never preaches the same sermon. It’s true! I’ve heard Ed preach multiple times in the past five years, and his content always seems original. Ed was the keynote speaker Monday night during the SEC, and it may have been my favorite sermon he’s ever given. First of all, he preached on John 4, which is one of my favorite Gospel passages, as Jesus talks to the Woman at the Well. Secondly, even though this Scripture passage features so many relevant principles and spiritual applications, Ed shared an aspect of evangelism I never considered. In John 4:31, which starts with the word “Meanwhile,” Ed elaborated from this verse a convicting perspective. As the woman was racing back to town to tell people about Jesus, His disciples were coming back from the same town where they just bought food and did NOT tell people about Jesus. How often do we encounter people in our routines and never share the Gospel? Wax covers all the bases in the current issues involving the Pro-Life movement, including an analysis of the two descriptions “Pro-Life” and “Anti-Abortion.” The latter is commonly used by the mainstream media with a presumed intention of being derogatory. Personally, I am totally fine being labeled an “anti-abortionist,” and I like Wax’s take of comparing it to anti-slavery and anti-trafficking. Ryan Smith’s blog on WordSlingers this week is a good one, especially for parents with young children. Check out his four aspects you should consider, if your kids are still in that early impressionable age. Forty-six U.S. senators voted against the effort of banning late-term abortions this week. I don’t get the callousness of these people, their unwillingness to come to terms with scientific evidence of children in the womb experiencing pain. This is not a partisan issue, as three Democrats supported the bill and two Republicans opposed it. Also, you can’t convince me this bill would “punish women.” On the contrary, those who do support abortion need to come to grips with the fact their cause brings punishment to many women who experience traumatic post-abortive conditions. These conditions are real, as I have witnessed many woman who attend a special class called “Forgiven and Set Free” offered by Hope Pregnancy Centers in Oklahoma and is specialized for women who deal with grief and regrets over their experiences of abortion. “One pro-life juncture came when he told the story of Ryan Holets, an Albuquerque, N.M., police officer who last year saw a pregnant, homeless woman on the verge of injecting herself with heroin. When he warned her she would harm her unborn baby, she wept and told him she longed for a safe home for her child. I don’t have much interest in this year’s Super Bowl, but I do find myself supporting the Eagles. This is due to the great stories I have heard about some of the Eagles players having Bible studies and even observing baptisms in a hotel pool in Charlotte one weekend. Perhaps a Super Bowl victory for the Eagles will allow for more Christian influence among athletes.